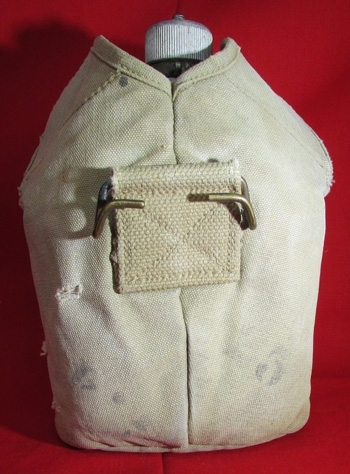 Item #48635 : Original era manufacture. 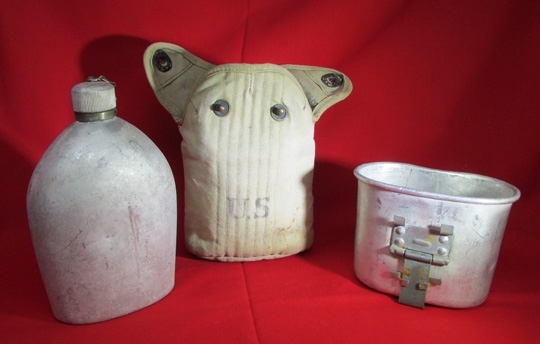 Standard US WWI canteen set, canteen, cup and cover. Clear US stencil on the tan canvas body, showing some minor tears and staining on the side of the cover. 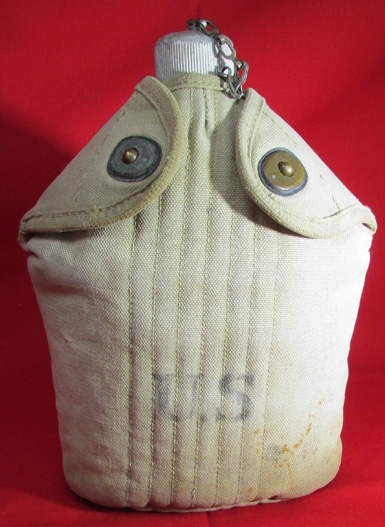 Clear makers name and date on the inside flap, Bauer Bros. 1918.Unmarked, aluminum bodied WWI canteen & screw cap, no cork washer. 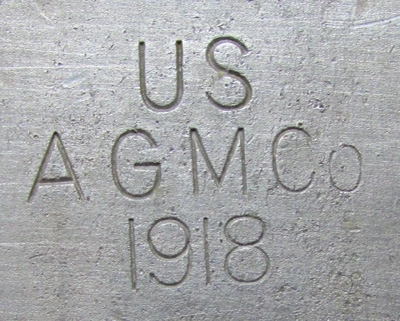 US AGMCO 1918 marked aluminum canteen cup.